This is the cutest picture ever! 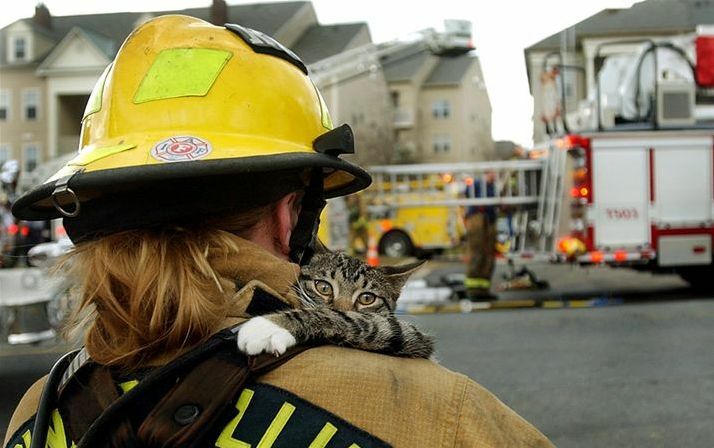 Poor kitty holding on for dear life to her rescuer! I want to post this as a favorite picture on our website!